Some may wonder why there’s even such a thing as a de-tuning kit when the Kawasaki Z650’s engine is tune to perfection. That’s because some European countries, like the UK and Italy, places power output limits on certain motorcycle license levels. Say a young rider decides to go for an A2 license at 19 because it is the quickest and most cost effective way to graduate to an unrestricted motorbike license. Before graduating to a full license, A2 holders can only ride on bikes that produce no more than 35 kW or 47bhp. Of note is the lack of torque restriction, so the max torque of 65.7 Nm should remain untouched. 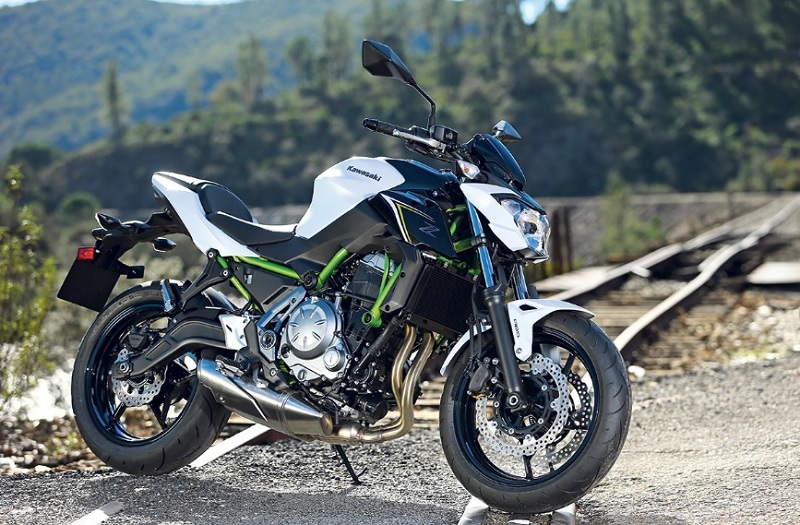 The Kawasaki Z650 exceeds that power limit because its 649cc 4-stroke engine delivers 50.2 kW, meaning a large group of potential A2 customers will have to look elsewhere for their first bike. To remedy this problem, participating Kawasaki dealerships are offering new riders a 35 kW de-tuning kit for free. It’s included in the purchase price and the offer is valid until June 30 of this year. We’re not quite sure if this modification is reversible as there’s no mention of what happens after someone passes the full motorcycle license test. One can only assume the Z650 can revert to producing 67 bhp @ 8000 rpm. Interesting. Could allow for new riders to get around the nuances of hp restrictions on a beginner license, without having to purchase a less powerful bike. I would imagine that it would have to be reversible as its likely just a new ECU remap no? From what I have seen in these forums and else where it is a removable bolt on the throttle setup under the seat, easy to see and remove, allows for only 70% throttle movement. Anyone got tips on what i need to look for when putting on new handlebars? I'm in France, and my Z650 is detuned because of the law for the first two years of driving licence. My Z produced 47hp and of course it can be reversed to 67hp after the full licence test. The Z650 is only detuned by a map. My previous ER6 was detuned by map AND a bolt on throttle. To revert back to 67hp you have to provide your new licence, and it is remapped a dealer. The papers are then modified. The NZ/Aus learner version of the Z650 does use a throttle stop screw as mentioned above to restrict the bike to 52HP by limiting the throttle to 70% of its maximum travel. If the learner limit is 47HP in the UK, maybe an ECU remap will also be required?